Sometimes, negative people do good job at work. Despite their output, they are generally not well-liked, and their bad attitude can poison the entire team. As a manager, how you handle these employees? Can you fire a poisonous employee even they do good job? The answer is ‘yes’ if this is the only way to fix the problem. Think wisely before you make a decision. Don’t make yourself lose an employee who does a good job if you don’t have to. 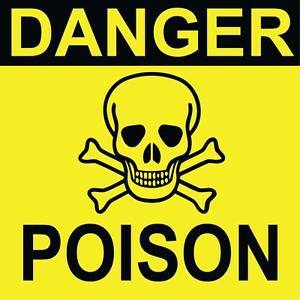 A poisonous employee is powerful to poison the whole team. In fact, no one poisonous employee is actually doing very good job as not being a drag on other employees is an intrinsic part of every job. You can have a plan to turn poisonous employee to nicer employee, but it is not 100% effective. You may also have counseled the employee. Ask them questions and find out what are they thinking. Understand them, know what causes them become negative and not energetic. It’s possible that they don’t realize just how negatively they are coming across to co-workers. You can tell them how do you feel about them and giving some advice on this problem. Sometimes, maybe they are not realized they actually look negative in other’s eyes. You also can remind them to be more positive if their job required that. Communicate with them before make any decision about them. Give them a chance to identify their problem and improve it.